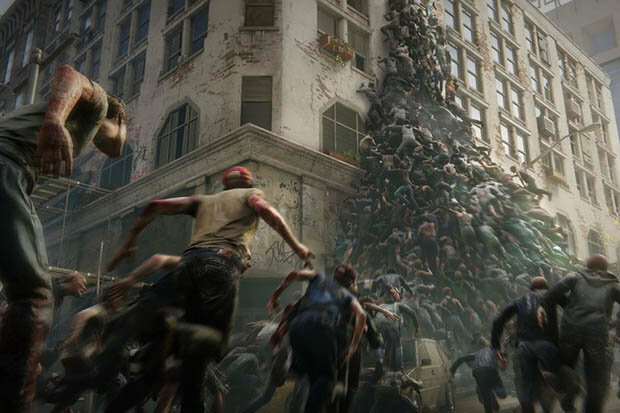 In the latest gameplay trailer, Saber showed how World War Z will harness the power of Saber’s Swarm Engine. This trailer shows off exactly how different the undead from World War Z will be from other zombie characters. The mesmerising footage shows how hundreds of fast-infecting zombies will flood the screen at a time in an attempt to overwhelm you. The trailer also showed off dynamic swarm simulation, adaptive spawn control, diverse zombie mechanics and the advanced gore system. Saber Interactive, the developer of World War Z, announced it would be making a game based on Paramount’s blockbuster film franchise. You may recognise Saber Interactive as the team behind Quake Champions and TimeShift. The game will feature a four-player cooperative mode where the players will be swarmed by zombies. Players will be completing missions and stories across the world, in locations including New York, Moscow and Jerusalem. You will need to fight to stay alive and escape zombie hordes using traps, barriers and the environment as weapons. World War Z will be available for PlayStation 4, Xbox One and PC. The game is based on the 2013 zombie apocalypse game. Big Bertini, Executive Vice President of Worldwide Licensing for Paramount Pictures said: “Saber has tons of experience working on high-quality games and they’ve done a great job capturing the massive, frantic hordes of ‘zekes’ that sets our franchise apart. The release of World War Z is expected to arrive at some stage in 2019. The exact date is not yet known. But given that we’re so close to the end of the year with little information we would assume it will be coming ‘late’ 2019. Saber Interactive has said it will be released for PlayStation 4, Xbox One and PC.